Throughout the 20th Century, the phrase “black projects” has become an evocative and mysterious reminder that groundbreaking new technology is continually being developed behind the scenes. The term refers to US and UK military projects which are considered highly classified, and a perfect example of this would be the SR-71 Blackbird. Created in the 1960s, this aircraft was capable of flying at more than three times the speed of the sound from its own engines. In fact, in 1976 this plane set the record for the fastest air-breathing manned aircraft in the world, after flying 2193.13 mph in July of that year. Its amazing speed and maneuverability allowed it to gather intelligence and information on geography, enemy positions, and much more. This could be done in a matter of seconds, making it an enormous asset to the US military. While carrying out reconnaissance flights, the SR-71 Blackbird could move at a speed of Mach 3+ while flying 80,000 feet above the earth. If detected and targeted by enemies on the ground or in the air, the SR-71 could simply outrun any missiles fired at it, racing out of the enemy’s range in seconds. However, it was unlikely that their presence would ever be discovered by anyone in the first place. The plane was designed with a range of incredible features to prevent this from happening. While the shape of the wings were specifically crafted to deflect radar beams, special chemicals were added to the fuel to minimize the risk of exhaust trails being picked up by enemy systems below. This aircraft was utilized by the United States Air Force from the year 1964 onward, until it was officially retired in 1998. Even then, two continued to be used by Nasa until the following year, while many of the others found new homes in museums and exhibitions. The plane’s later years were fraught with uncertainty, however. At one point, during the 1980’s, the SR-71 program was shut down. Many figures higher up in the Air Force had been SR-71 pilots earlier in their careers, and so they made an effort to keep the planes funded and in use. However, as these men began to retire, a new generation took up their positions, and the aircraft subsequently lost favor with those in command. Then in the early 1990’s, the US was increasingly worried about affairs in the Middle East – not to mention North Korea – and wanted the best quality reconnaissance planes available. 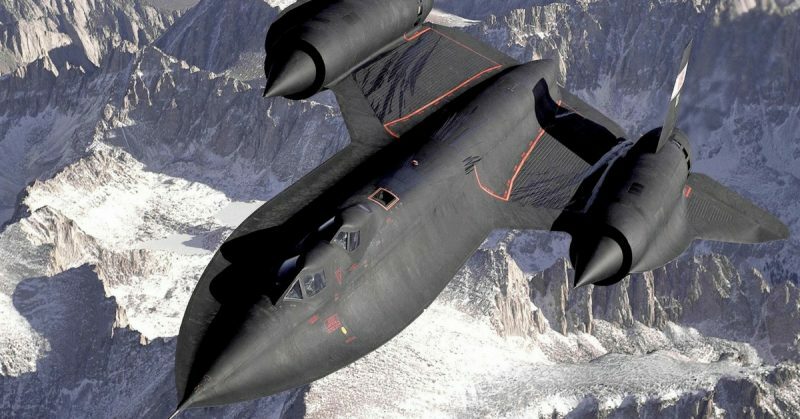 The funds simply weren’t there to create and test anything superior to the SR-71, so members of Congress pushed for the aircraft’s return to service. The Air Force rejected their suggestions, and a long struggle played out between the plane’s supporters and its detractors. Eventually, however, the money Congress had assigned to reopening the program was relocated to other areas of the military. The time of the SR-71 had truly come to an end. There were 32 of these incredible machines produced in total. Twelve of them were lost in accidents, but none went down due to enemy activities. This isn’t to say that the planes weren’t placed in dangerous situations, of course. In fact, during the Vietnam War over 800 enemy missiles were fired just at SR-71s, although not one of them hit their target. They also flew missions over North Korea, where they were targeted as well. In 1981, North Korea launched a Russian guided missile at an SR-71 Blackbird. This footage shows that gripping encounter and demonstrates not only the prowess of these planes, but the incredible skills of the men who piloted them. The YouTube channel behind this video, The Joint Forces Channel, posts an exciting variety of content, exploring military technology and showcasing the amazing stories of individual service men and women. If you’re interested in this plane in particular or in the military in general, there’s sure to be something for you here.